Enjoy a full-day boat tour of the Kenai Fjords National Park. See the wide range of Alaskan wildlife, from grizzlies to caribou. Pan for gold in the pristine streams of Alaska. 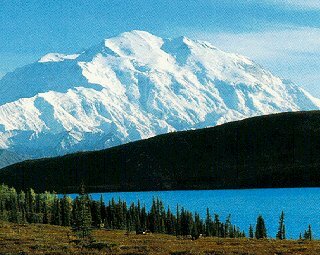 Travel picture of Alaska’s beautiful panorama. My mother is 81 and we both are finally free to travel and want to visit Alaska, we want to see wildlife, bears, whales etc…a train at some point to view the area. Any suggestions, could you send us a package on Alaska ?